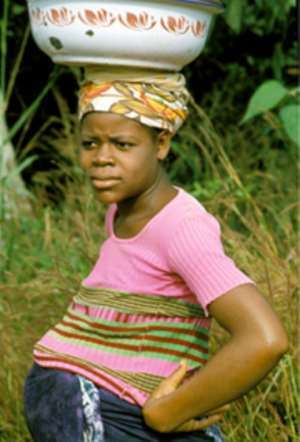 Wa, July 4, GNA - Over twenty female students dropout annually from the Islamic Senior Secondary School (ISSEC) in Wa as a result of their being pregnant, Mr. Sulemana Alhassan, Headmaster of the School said on Saturday. This situation, according to him, has arisen because, as a day school, most of those students from poor rural communities were usually forced by circumstances to fend for themselves and that allowed men to take advantage of their plight to make them pregnant. Mr. Alhassan said this at the second speech and prize-giving day of the school at Wa, which had the theme: "Education, an antidote to ignorance." The Headmaster said the spate of girl dropout could be remedied if the school was absorbed into the boarding system, adding that the school already had hostel facilities to support that scheme. In a modest way, the school had started providing lunch at 35,000 cedis per month per student for all the 564 students to enable them be in contact with their teachers for longer hours, he stated. Mr. Alhassan said, this however was not enough and therefore suggested to the government to consider providing at least one meal daily for all day senior secondary schools in the Northern sector to enable the students stay in school and improve their performance. Out of 93 and 96 students presented by the school for the 2002 and 2003 respectively, only seven and one student failed to obtain a pass in a single subject with 32 and 59 students in each of the two respective years qualifying for post senior secondary school education. Mr. Sahanun Mogtari, Upper West Regional Minister, said the girl dropout rate in the school was alarming and called on the school authorities, traditional and religious leaders to take steps to address the situation. "It is sad that this is happening not in any village but in the regional capital where people are enlightened enough to know that it is a crime to make mothers out of school girls." He assured the staff and students of the school that the government had not neglected the school and they would therefore get a fair share of the education projects.